Colin Mann School is a public Primary School situated in Lambton, Germiston. The school caters for learners from Grade R to Grade 7. At Colin Mann School our vision is to provide an holistic education which will prepare our learners to take up a meaningful role in society. 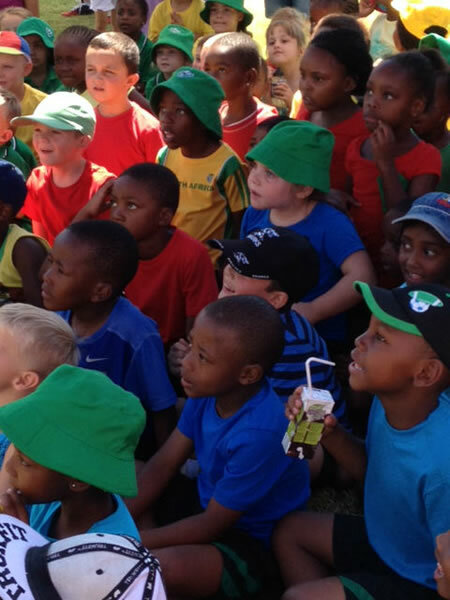 Colin Mann School in Lambton, Germiston, seeks to provide equal, quality education to all our learners. We strive towards meeting the needs of each individual child through innovative, creative curriculum interpretation to ensure that each learner will receive a primary education which will prepare them adequately for secondary education. The school has a long history dating back to 1946, when the school first opened its doors to 51 English speaking children after the Second World War. The school was named Lakeview Primary School due to its location in the Government Village, across the road from the Germiston Lake, where Ex – Volunteers from the war were housed. The original school building was a military hospital erected for the Air Force. Mr R G Williams was the first Principal of the school and continued in this position when the school transferred to the new premises in 6th Avenue, Lambton in April 1952. Mr Williams remained in this position until his retirement in December 1975, having taken the school to great heights, both academically and on the sporting fields. In January 1976, Mr J R Whitlock was appointed as the new Principal, a position he held until his retirement after 23 years, in 1992. Under his guidance, the school continued to go from strength to strength. Mr D O Ross then succeeded Mr Whitlock as Principal in January 1993, a position he held until his retirement in January 2013. The stability and guidance that these gentlemen provided over the many years has enabled the current Principal, Mrs M J Le Roux to continue guiding the staff and learners of the school to maintain high standards in all spheres of the school environment.